‘Earlibrite’ | Florida Foundation Seed Producers, Inc. 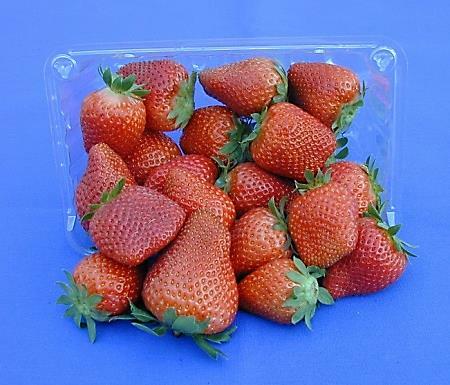 Description: A strawberry plant with compact plant habit and high November through February production of large, bright red fruit when grown in Dover, FL and other areas that have a similar, subtropical climate. ‘Earlibrite’ produces high early-season (December through February) yields of large, flavorful fruit; but it does have a tendency to produce some misshapen fruit. The clone was named ‘Earlibrite’ because of its high early-season production of bright red fruit, and to honor Earl Albregts, a soil scientist who spent his entire professional career (1967-1996) at GCREC-Dover.